Difference between revisions of "JWT Modifications"
See [http://help.eclipse.org/help33/index.jsp?topic=/org.eclipse.platform.doc.isv/reference/extension-points/org_eclipse_ui_activities.html activities extension point doc]. JWT defines an activity in its "branding" ''org.eclipse.jwt'' plugin, that can be found on CVS at ''org.eclipse.jwt/releng/jwt-branding-plugin''. For the moment, this plugin should be the only one to bind extensions with binding. If your plugin adds a contribution to Eclipse UI (ie a contribution to org.eclipse.ui. *) and is part of the JWT feature, then the branding plugin should define a binding from these contributions to the JWT activity. JWT defines an activity in its "capabilities" ''org.eclipse.jwt.ui.capabilities'' plugin, that can be found on CVS at ''org.eclipse.jwt/releng/jwt-ui-capabilities''. This must be the only one to bind extensions with binding. Except if we want to separate JWT into several UI activities (not so useful), we don't have to change this definition. This page provides information to JWT contributors on how to add modify and add new features to the JWT Workflow Editor (JWT-WE). The JWT Workflow Editor defines several extension points and mechanisms that allow users to customize and extend the abilities and properties of JWT-WE without changing the editor itself. However, there may be cases in which it becomes necessary to alter the Workflow Editor code itself, notably when the new features need to be implemented by committers of the JWT project. This page is intended to describe how JWT committers can deal with recurring tasks when adding features to the Workflow Editor like adding new options to the Eclipse preferences dialog (if you're instead looking for information on how to extend JWT-WE through providing external plugins, please take a look at JWT_Extensions). Then API versioning should almost automatically deal with versions of plugins and API. Export only the required package (no *internal* should appear in those packages), if you are tempted to export a internal package, then you should consider moving the class you want to export into a non-internal package. 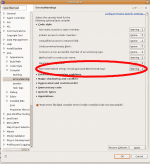 Remove all export package from the "target" plugin MANIFEST.MF. And, obviously, add JavaDoc and @since [version] tag on classes that are still in exported package, because they are classes that have external clients. If your string is a "logic" string (for examples if it the name of a plugin extension point attribute, or "true"/"false" strings) and if it is used several times, then create a constant for that string and use it. It your string is never intended to be displayed (for example log messages or bundle names...) then, add a //$NON-NLS-n$ comment. Then your "Problems" list will only contain NLS related warnings, time for hunting! It is important for JWT clients that they can be able to ignore UI parts of JWT, if they only want to depend on the core fonctionality. A good way to do so is to put core functionality into a plugin org.my.plugin.core and org.my.plugin.ui. See activities extension point doc. JWT defines an activity in its "capabilities" org.eclipse.jwt.ui.capabilities plugin, that can be found on CVS at org.eclipse.jwt/releng/jwt-ui-capabilities. This must be the only one to bind extensions with binding.